In the this post, I am going to concentrate on the process regardless of the tools or resources you may have available. 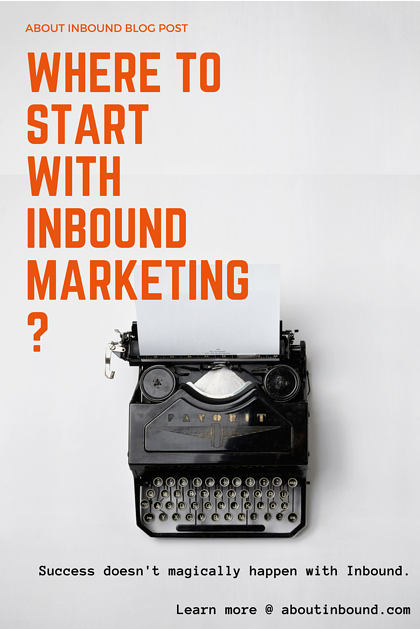 I believe anyone can introduce inbound to their business if they are willing to commit and put in the effort. 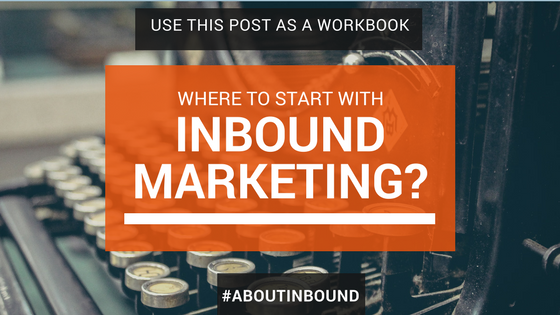 TIP - Bookmark this blog post as a workbook or checklist to launch you first inbound marketing campaign! Be careful with setting your goals. Try to be realistic here. If possible base you goals on previous performance. The 2 things I always listen out for when I ask my clients about their goals is, what do they want to achieve and by when. Basically, I am looking for numbers and dates. It may seem obivious but make sure your short term goals should align with your medium and longer term goals. This helps you be very focused with your efforts. Always make sure you have a clear goal for everything you are doing. Even for that monthly newsletter your are sending out. Campaign goals are even more specific. This is a plan we can use to achieve your goals. For example if you need 100 MQL's (marketing qualified leads) per month, you will likely need several activities to reach your lead goal. You should use previous data to make sure you are being realistic with your prediction. send an email to 1000 contacts (avg. click through rate 4%) 40 click through to sign up. You should also take into consideration seasonalities, your reach, the size of your email list, your budget for paid promotion etc. Defining your persona means identifying your ideal customer type and creating marketing communications specifically for them which will help them through their buyer’s journey. "The best way to think about your persona is to picture them as a stereotype of your ideal customer, based on data." Company information - what type of companies do you sell to? Role in company - who is the end user? Goals - how do you help to achieve their goals? Challenges - how you help to solve their problems? Values - What do they value? Objections - What are common objections during the sales process? Marketing message - What is your elevator pitch? Where do they hang out online? - Blogs, social media, forums etc. Finally name your persona and include an image! 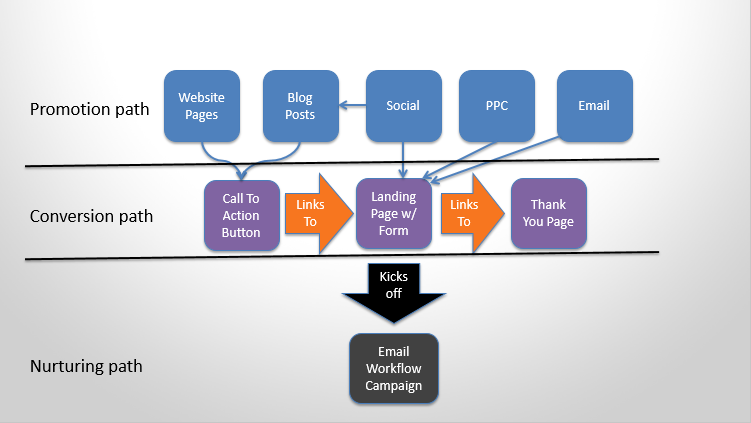 When building an inbound marketing campaign there are a couple of steps to consider. The heart and very centre of the campaign ( the purple section) is where a landing page and form gates your content offer for example a whitepaper, checklist or an invitation to an event. "Constantly ask yourself what happens before this step and what do I want to happen after this step"
Once you have your content offer, you need to promote it to get your personas to your landing page. Refer back to the research you did to find out where your personas hangout online. That's where you should have a presence also. Here is a list to start with. I would love to hear other ideas or ways you share your content in the comments section below. The nurturing path is a way to move your prospects down the funnel. It is a way of linking your persona from one stage in the buyers journey to the next. 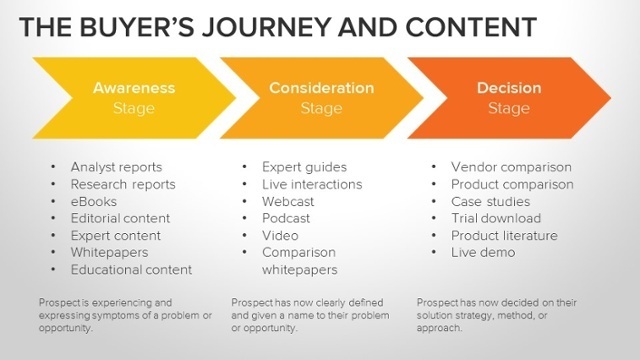 "They Buyer's Journey is the active research process a customer goes through leading up to purchase"
The buyer is aware they have a problem or opportunity. They are at an early phase of research and not that commited to purchase. Therefore the type of content they might consume at this stage might differ. Easily digestable bits of content work well at this stage. e.g. a 1 page checklist. However, we want to entice someone after they downloaded the checklist to move to the next stage if they are ready to do so by providing another piece of valueable and educational piece of content for them. They way you can do this is by triggering an email a few days after they have downloaded the awareness stage offer. At this stage you should consider handing them over to sales to have a conversation if they would find it valuable. Depending on your sales cycle their might be several content offers you could provide to your persona for them to be sales ready and have most of their questions answered before they get to sales. This nurturing stage is basically sending a series of automated emails between each piece of content so that there is always a next step in place for your personas to take action on.